These applications can include bolt force measurement, clamping force measurements, and monitoring overload post or leg mounting systems. They are usually made with carbon steel or stainless steel, but some custom designs, however, can include aluminum in the structure of the load cell. Depending on the application at hand, these load cells can come in a variety of different frame sizes, materials, and configurations. Since these load cells have to withstand large compressive and tension forces, they must be constructed from durable materials. For this reason, donut load cells are most commonly manufactured from stainless steel or carbon steel. In addition, many manufacturers offer a diverse range of standard sizes and models, but load cells can also be customized to fit more unique specifications or special applications. 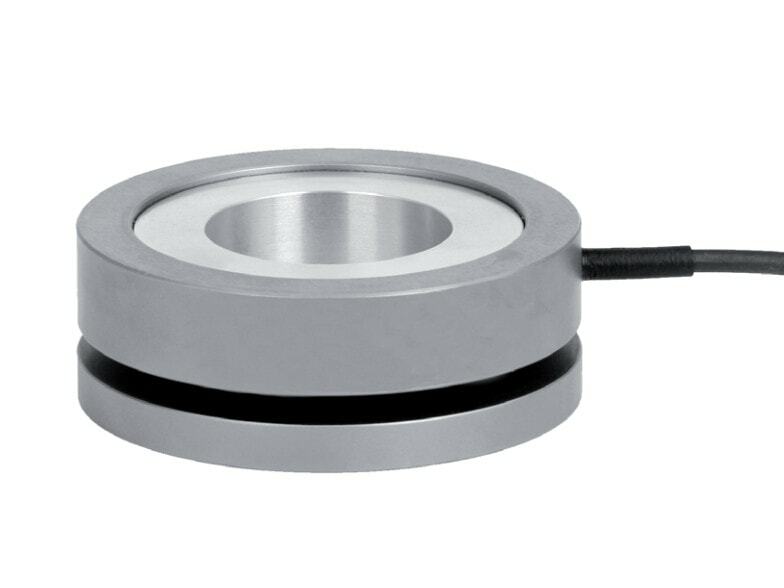 Usually, donut load cells are manufactured as a circular sensor with a hole passing through the center, a donut-shaped sensor. The size of the frame as well as the diameter of the through hole can all vary, and some of these load cells can even be custom designed to accommodate off-center loading. With the unique design of these kinds of load cells, it is possible to monitor the forces being applied by loads passing through the cell. For example, a donut load cell can be used to measure the compression force applied by a tightened bolt. The threads of the bolt can pass through the center of the cell and be screwed into a threaded hole. As the bolt is tightened, the head of the bolt comes into contact with the top of the load cell and begins to apply a compressive force, which can then be measured. This is only a simple example of donut load cell use, but these load cells can be used in a multitude of industrial applications to monitor and measure important compressive forces. When selecting a load cell, customers should consider and compare like for like features and consider aspects like the construction of the load cell and the cable entry method. If the load cell will be used in applications that must be accomplished in harsh environments, protection for the load cell will have to be considered to ensure they provide reliable, long-lasting performance. Extra protection can be achieved through the use of additional coatings, like greases or paints, or through the use of a variety of plating materials. The load cell’s design should also provide protection from everyday materials they might come in contact with like water or solvents. 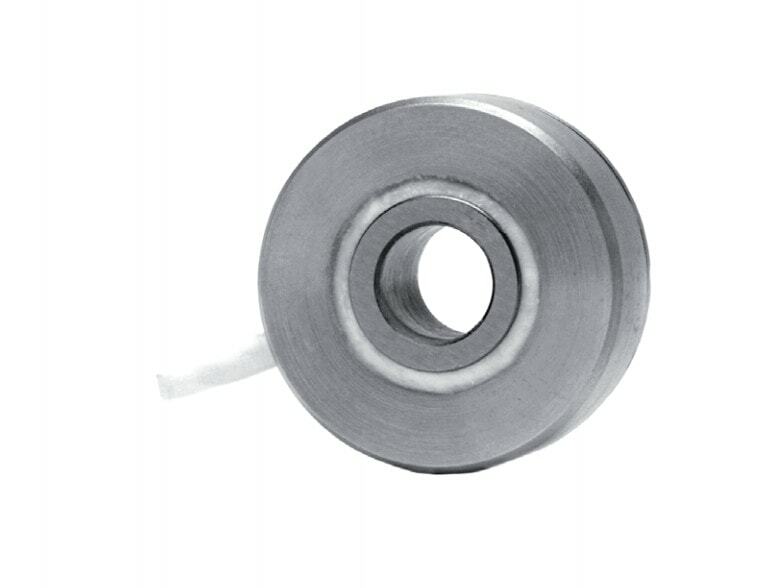 Donut Load Cells Donut load cells are load cells designed with a compact, smooth, thru-hole construction, and these load cells are utilized in applications that require the load to pass through the cell.